Did K. Michelle did plastic surgery? K. Michelle ignite a lot of chatters on social media with a single photo she posted on Instagram on Tuesday. The R&B singer was heading to her label in New York City to give them a preview of her fourth album. But before she stepped in she uploaded a selfie and immediately her fans start commenting asking her if she did plastic surgery. “So excited! Headed to my label to play album #4 #newyork,” she wrote on IG. Some fans are attributing her new look to a filter on Snapchat while others are adamant that she went under the knife. It does appear that some form of social app image filter was used on the photo whether it be Instagram or Snapchat filter. 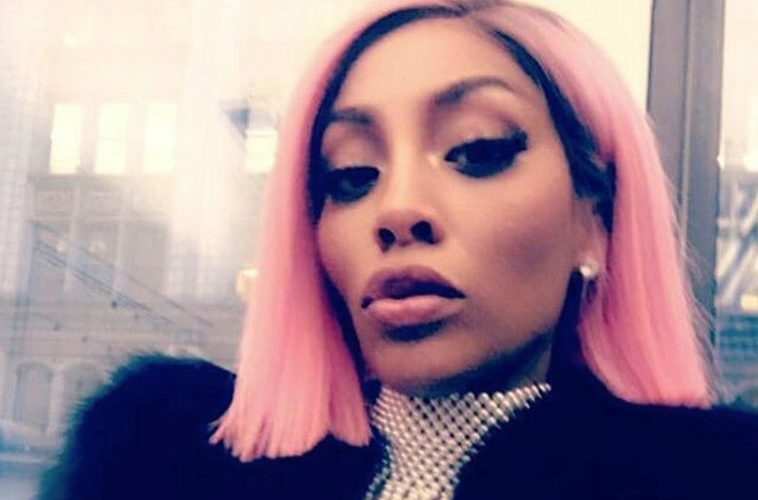 K. Michelle has been radio silent about the chatters of plastic surgery but she did posted more photos on Twitter than seems to help answer some of the questions. I'm still mad at Lil Kim for messing herself up now K.Michelle..smh Chile I can't!